Replies: 55 Views: 63 Read Comments! Replies: 18 Views: 19946 Read Comments! Replies: 21 Views: 21562 Read Comments! Replies: 51 Views: 39031 Read Comments! We have a few updates to bring you this weekend, starting with an update on the status of our migration project and a few bits on next steps and things to look out for as we prepare for our migration. We will continue to bring you updates as and when we have them for you. One of the most pressing issues for those of you currently frequenting Community Discussion is the progress of the website update/forum migration which is currently in the works. Several pages of database information, error logs and lots of other technical information which I couldn't possibly explain properly has been sent over to IPB (our chosen forum software provider) to assess what is going wrong with the migration tool WhiteWolf has been using. Their engineers have now been given access to our server to assess what's going wrong and why with the goal of providing WhiteWolf with a migration tool that will work for our community. Once this is received by WhiteWolf the three of us will schedule time in ASAP to get this migration on the way. I promise all of you that there is progress. I'm sorry that you're not seeing it yet and that some of you are feeling strung-along by the entire process. However, there is no way that I would be here writing this thread and stating that progress is being made if I did not believe it myself. We will get there, and soon. 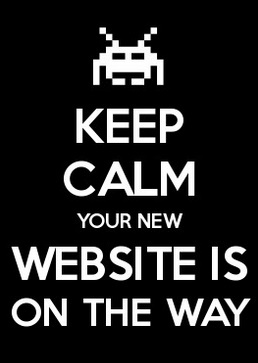 The lack of a new website does not mean, however, that nothing is going on. We are now in a position to start properly preparing our forum for the migration. There are changes we can make to the forum before migration day that'll make the post-migration period much easier for everyone and will allow us to hit the ground running and working on new additions to our website/forum, rather than fixing some of the old things. Migration day will involve taking an up to date copy of the website and migrating that, so changes made now will be reflected on the new site. A reduction in the number of sections currently supported by WN. This is one of the more unfortunate consequences of our current situation and restructuring. WN has many inactive or dead sections that house only a very small number of active members. These are sections that we do not have, nor do we expect to have in the foreseeable future, resources to fix. As such the decision will be made to archive these sections. Please note that we expect this to only affect a small number of active members. Development of a new rank structure. Work is currently underway to make WN a lot more simple to understand and a large part of this is further work on our structure - a project that will have 'does what it says on the tin' very much at the forefront of the changes. At this point I can say that from Chief Officer to regular member there will now only be five layers of 'rank' within the community (with specialisations). Two administrative, two leadership/departmental officer, and the general membership. Ranks will be renamed almost across the board and the new names will reflect where that person belongs and, hopefully, give new and old members a pretty good idea of what they do without needing a handbook! The most obvious changes will be to the rank names, tags and colours. Further updates will be posted as these changes are made. WN's current laws page and the laws themselves is looking rather tired and outdated. WN has operated a Laws system for many years now to varying degrees of success and flexibility. Our Laws will be replaced by a Code of Conduct in the near future, which will adapt and change as Warrior Nation does and be very much a living part of our Community moving forwards. The CoC will go into more detail about what types of behaviour and actions we do not condone and will also give more information than is currently available about the punishments for violating the rules of WN will be. There are likely to be further changes in addition to the above as we progress with our plans to set WN up in such a way that it can be successful once again moving forwards. Again, further updates will be posted if this is to be the case. *AAA titles will bypass these requirements. For the foreseeable future will only be recruiting new Engineers that are able to support the AAA titles that WN will be focusing on in the near future. NOTE: This is likely to include larger titles that are already in WN but require intensive support. If you want to get involved in building successful sections for these games or providing assistance to those that we have, we would welcome an application from you. Further information on all of the above will be provided as and when elements go live or updates are available. If you wish to discuss any of the above and what it may mean for you, your section or WN, please feel free to talk to WNxSwitchBlade or myself on Discord or PM us. Replies: 21 Views: 5589 Read Comments! Replies: 27 Views: 7859 Read Comments! Awarded to Combat Media Staff that perform their job far above average. Writing or creating excellent graphics, reports, interviews, creative pieces or game guides such as the work on histories or reviews can be issue reasons. Helping and improving other members' work is also specially recognized by this award. It's been quite sometime since we have nominated anyone in Combat Media for the Ace Award. Due to the reformation of Combat Media one member has stood out. WNxabysz has been my go to guy and has helped out with numerous tasks that I have thrown at him. While I was busy with RL and other banners that I have been working on myself, other banner requests came in so I looked to WNxabysz and he was there to knock these requests out. He has bounced back tremendously in activity and is going to be my go to guy for now on and I believe he has gotten more experienced since I took over GAT. You can find WNxabysz latest works in the following sections; Black Desert, Overwatch and Tree Savior. Replies: 20 Views: 6521 Read Comments! Replies: 37 Views: 11421 Read Comments!